The breed exploded in popularity after a viral photo made its way onto the internet a few years ago. Surely, you’ve heard of the Pomsky. A cross between a Pomeranian and a Husky, this “designer breed” exploded in popularity after one of their photos went viral a few years back. Within just a matter of days, it had been shared millions of times online. 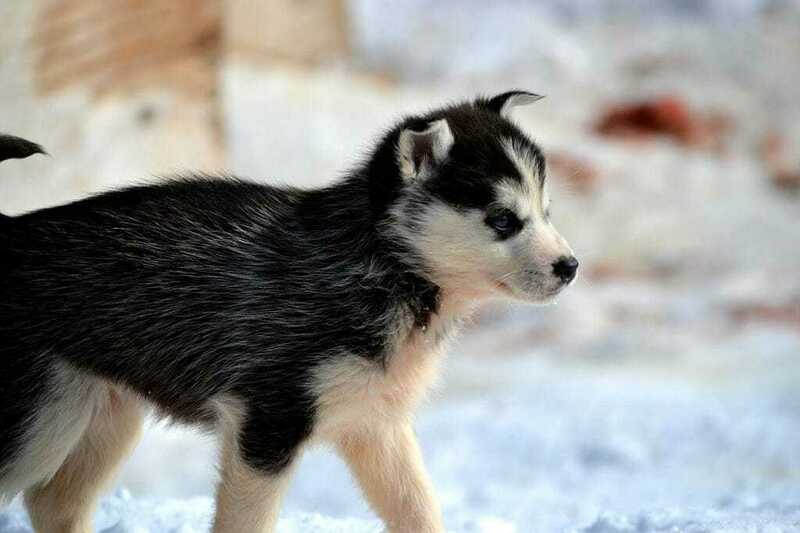 After all, who can say no to a miniature husky? Small and fluffy, the dog in the photo looked exactly like what you would expect by combining the two parents—a mini husky. For many, it appeared that the Pomsky had inherited the bests of two worlds. While it’s true that they’re cute, however, there are a few misconceptions about the breed. For one thing, the photo that went viral was not that of a Pomsky, but a Finnish Lapphund (a Spitz dog that can grow up to be over 50 pounds!). If that’s the case, what is a Pomsky? The truth is, not all Pomskies look like small huskies. A genetic lottery, there’s no telling what the offsprings of a Pomeranian and a Siberian Husky would look like. While some puppies may resemble their husky parents, others may not look anything like them at all. In the end, no one can make any sort of accurate guess about their appearance until they are born. If you’re thinking of bringing home a Pomsky, we highly recommend that you do a little bit of research first. As mentioned earlier, there are a few misconceptions about the breed that you’ll probably want to know about. Pomskies can be big or small depending on genetics. Don’t be fooled into thinking that all Pomskies are small—they are not. Considering the fact that you’re mixing a Pomeranian—a toy-sized dog—with a Siberian Husky—a large-sized dog—, it’s only natural that their offspring will vary in size; while some may remain small, like their Pom parents, there’s no guarantee that others won’t grow to be 30 or 40 pounds. Unfortunately, it’s hard to tell exactly how big they will get when they are still puppies; in the end, you won’t know for sure until they become adults. With that said, anything between a Pomeranian and a Siberian Husky is fair game. Coat colors are unpredictable in Pomskies; many will not resemble their Husky parents. Not all Pomskies have the desired black-and-white coloring that is often associated with Huskies. In fact, it’s not uncommon for their coats to be a variety of colors; after all, Pomeranians come in over a dozen different color variations. Not only their fur, but their facial shapes can vary as well. For instance, it’s not uncommon for some Pomskies to have inherited a “rounder” face from their Pom side; of course, the opposite is also true—some may be more “wolf-like” due to their Husky genes. Still, all of them usually have one thing in common though—their fluffy tails. There’s no surefire way to know the temperament of a Pomsky puppy before he or she is born. As with all mixed breed dogs, there is no guarantee when it comes to temperament; after all, their parents are two entirely different breeds. Once again, it all boils down to genetics; some may inherit the Siberian’s Husky’s stubbornness while others may inherit the Pomeranian’s attentiveness. Of course, you can also get a blend of the two traits (e.g., a stubborn Pomsky who also happens to be a good watchdog). Given the fact that Huskies have a high prey drive, it wouldn’t be surprising if a Pomsky were to also have a thing for chasing small animals. As cute as they may be, Pomskies are typically bred by for profit. The amount of Pomsky breeders in the United States have greatly increased over the past few years (interestingly, around the same time that the viral photo appeared on the internet). Alas, many of them are not what you would consider to be reputable breeders. For those who are unfamiliar with dog breeding, reputable breeders strive to improve a particular breed by carefully selecting their breeding stock (after screening for health issues) so that they can maintain the best physical and behavioral traits. In contrast, many Pomsky breeders produce puppies for the sole purpose of profit; a trend that has been kept going by their popularity on the internet. Thanks to their Husky blood, Pomskies tend to be high energy dogs. For the most parts, Pomskies are active dogs; this can be stemmed back to their Siberian Husky DNA. If you plan on bringing home one of these pups, be ready for plenty of daily walks; not only that, but they require mental stimulation at home. Given that they have pent-up energy, there’s no telling what kind of mischief they’ll get themselves into. Who knows? They might even find a way to run away from the yard when you’re not looking. Human intervention is often required for breeding due to the size difference between Poms and Huskies. If you think about it for a second, it’s pretty much impossible for a Pomeranian to naturally breed with a Siberian Husky. For one thing, they’re on the opposite ends of the size spectrum! Given their differences, it’s easy to see how human intervention would likely be necessary in most cases. For instance, artificial insemination most likely plays a role when it comes to breeding Pomskies. Are these practices worth supporting? We’ll let you decide. Pomskies are typically big shedders due to their double coats. Given that both their parents are double-coated, it’s not surprising to know that Pomskies also tend to shed a lot. Aside from regular, everyday shedding, they also blow their coats with the changing of the seasons—during which they lose their thick undercoats. In a sense, they shed almost year round. If you want to limit the amount of dog hair in the house, it’s probably a good idea to do some brushing every day. Pomskies are generally vocal dogs. In addition to barking, they may also howl. As you probably already know, Poms have a tendency to bark while Huskies tend to howl. As the offspring of these two breeds, there’s a relatively high chance that a Pomsky would do one—or both. If you’re looking for a quiet dog, they may not be the right fit for you. If you like the idea of “talking” with your pet, however, you probably won’t be disappointed. Like all things, however, it does depend on the individual dog—who knows, your Pomsky might just be the quiet type! Most Pomskies are first generation mixes in that their parents are not Pomskies, but Pomeranians and Siberian Huskies. In contrast to purebred dogs, many of which have been bred for several centuries, Pomskies have only been around for the past several years. 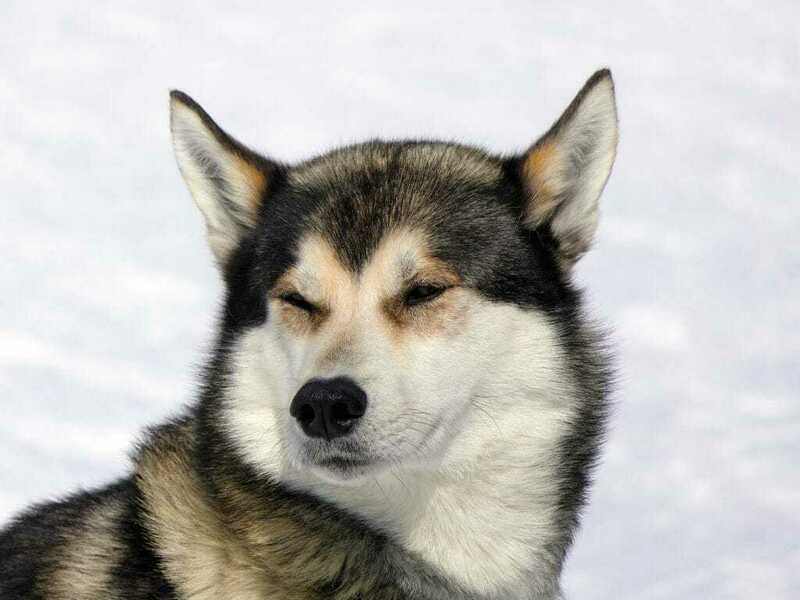 As a result, most Pomskies are first generation mixes. What does this mean? This means that their parents are purebred dogs—Pomeranians and Siberian Huskies in our case. Unfortunately, this also means that the results of their breeding are highly unpredictable; even if you repeat the breeding with the same parents, the offsprings will likely be very different. If you want a dog that will grow up to be a predictable size, with a predictable temperament, you’ll want to look elsewhere. Many of these dogs are prey driven like their Husky parents. As Husky mixes, many Pomskies tend to have strong prey drives. In other words, don’t be surprised if your pup has a tendency of chasing small animals—it’s just one of the things that they’ve inherited from their wolf-like parents. Considering this, you probably don’t want to let them off leash; they might just run after a squirrel that’s scurrying across the street. An officially recognized breed, the Alaskan Klee Kai resembles a “miniature husky” with its distinct markings. 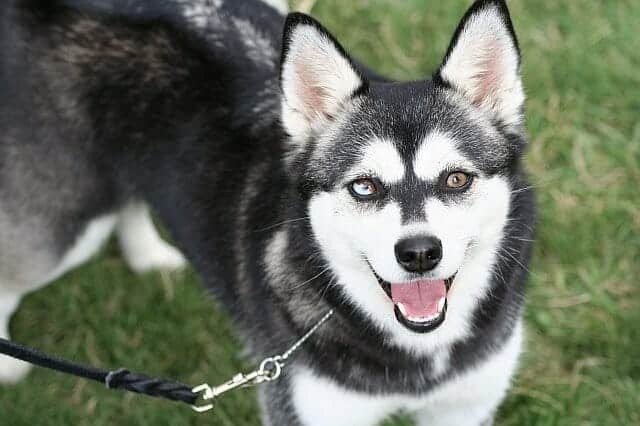 If you’re keen on adopting a dog with the “mini husky” look, you may want to consider the Alaskan Klee Kai. Unlike the Pomsky, which is not an official breed, the Alaskan Klee Kai is officially recognized by both the AKC and UKC. 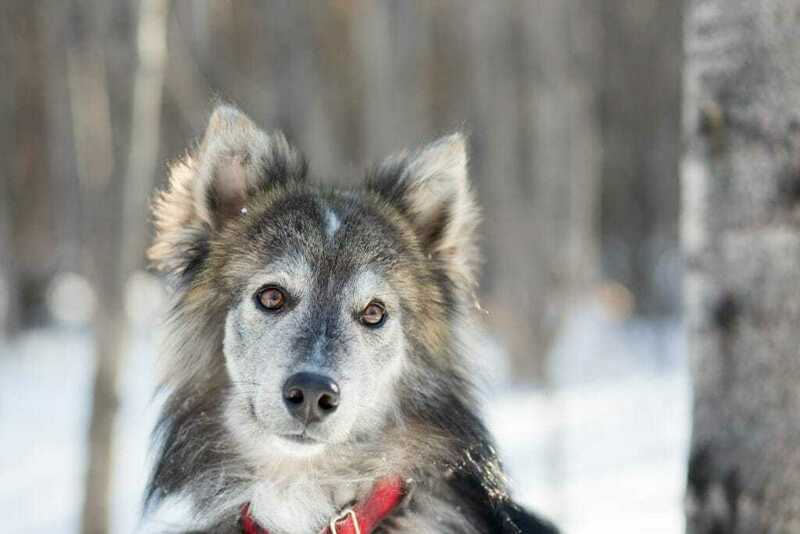 Developed in the early 1970’s, they were carefully bred down from Huskies and Eskimo Dogs. While they’re relatively rare, they can be purchased from a number of reputable breeders across the country. As much as they look like “small huskies”, however, it’s important to note that their personalities are quite different from Siberian Huskies. For instance, they tend to be much more reserved than their larger counterparts. A new “designer breed”, the Pomsky came to be in the early 2010’s. As their desirability soar (with the circulation of the viral photo), more and more breeders began to produce puppies. Today, it is said that there are well over two dozen breeders in the United States. As mixes, their temperaments can be highly variable. Ultimately, it would depend on the traits that they’ve inherited from each parent. While some may be outgoing, others may be more reserved. They are fairly adaptable. Depending on their size, they may or may not require a larger living space. Given that Pomeranians tend to bark and Siberian Huskies tend to howl, there is a high chance that a Pomsky will be vocal. They can be kept in apartments if given adequate exercise. For larger dogs, however, a fenced-in yard may be ideal. Depending on their inherent personality, they may or may not be cat friendly. For instance, it is not uncommon for them to inherit the Husky’s high prey drive, which would make it a potentially risky situation. As with other dogs, Pomskies should be fed a high-quality diet. As they vary in size, it is important to meet each of their dietary requirements individually. Pomskies tend to have long, fluffy coats thanks to a mix of their Pomeranian and Siberian Husky genes. Regular brushing is recommended a few times a week to remove loose fur. Baths should be given once every few months, or on an as-needed basis. Training can be challenging if they have inherited the husky’s stubbornness. With that said, they are generally smart and eager to please. Unfortunately, there are bound to be health issues when you breed a large-sized dog with a toy-sized dog—especially if the parents are not properly screened beforehand. 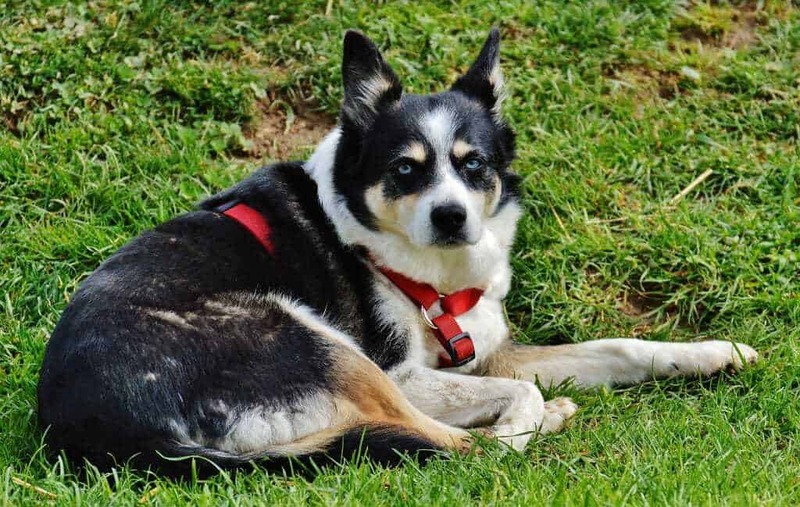 One of the most common conditions that they tend to get is hip dysplasia; an abnormality of the hip joint, it tends to lead to painful arthritis over time. 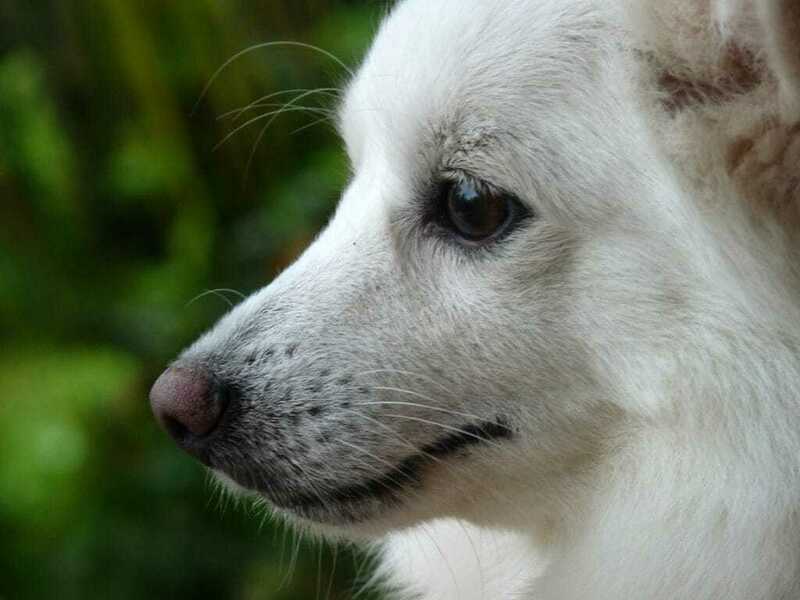 In addition to that, they are prone to a few other conditions such as hypoglycemia, hypothyroidism, coat loss, and cataracts, all of which are fairly common among Pomeranians and Huskies.